The freezer compartment of my fridge freezer isn’t exactly “big”. Once you put a few frozen vegetables and leftover mince etc., in it you run out of space. This has been annoying me for months, as I end up not being able to freeze items that would be suitable to freeze. I don’t like going shopping more than about once a week, so I’d like to be able to use the freezer more. That’s been nigh on impossible due to the space issues. 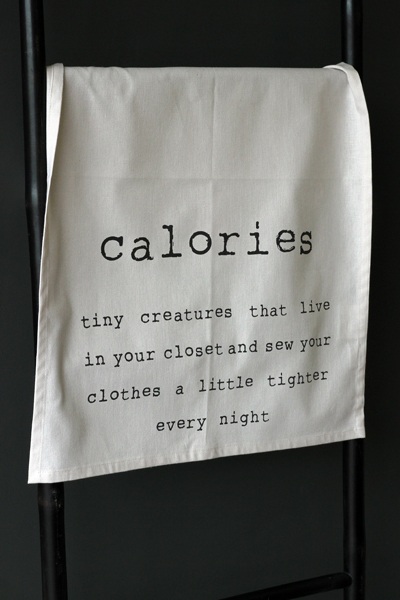 And why I didn’t think of this before now is a mystery to me. A packet of freezer bags costs about 1 Euro. But it’s worth a lot more. The typical issue I run into is with minced meat. Most supermarkets sell packets of mince that are between 300g and 1kg. Most of the time I’ll use between 100g and 150g for a sauce of some kind, leaving me with 150g or more. Of course the plastic tray that the meat comes in is physically quite big, so you can only fit a few of them in the freezer before you run out of space. However if, instead of using the meat’s original tray, you empty the leftover mince into a freezer bag you get an immediate space saving. If you’re going to misbehave, you might as well misbehave properly! While I might avoid certain types of food and try cooking (and eating) more fruit, vegetables and generally healthier food, I do like relish and chutney. 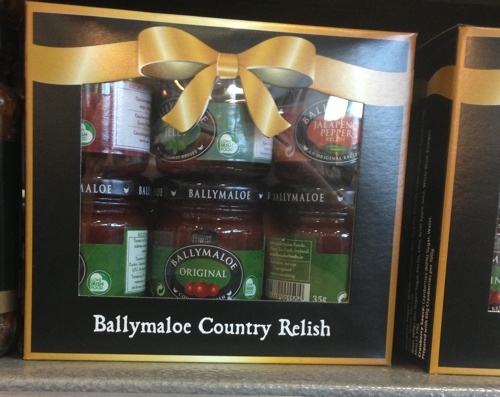 The Ballymaloe range of relishes are fantastic and, since I love spicy food, I nearly always have a jar of the jalapeño in my cupboard. 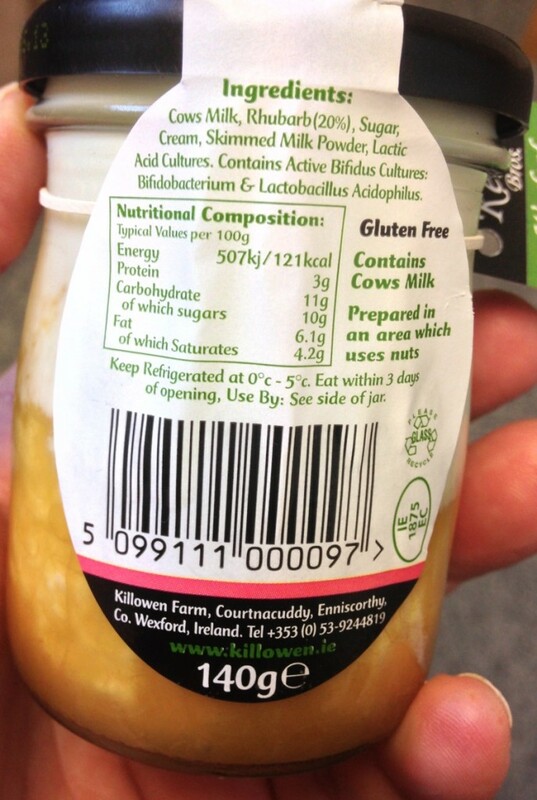 At the moment you can pick up a nice little “gift pack” with six 35g jars from the range for €4.99 in Dunnes. Perfect for trying out different flavours or maybe as a gift. 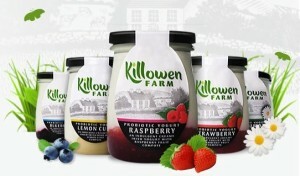 I like yoghurt and I like trying out small Irish producers’ products. 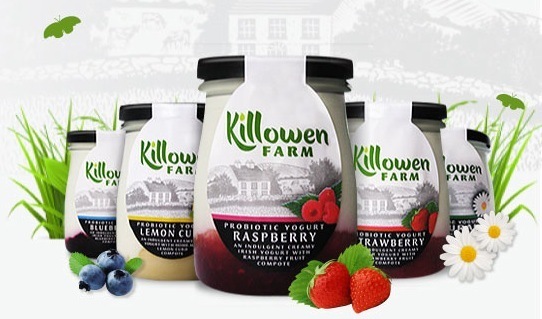 Killowen Farms’ yoghurts, therefore, fit the bill perfectly. They’re made in Wexford, which is quite close to where I live in Carlow. This morning I picked up two pots of yoghurt for breakfast, as I didn’t have enough fresh fruit and vegetables to do my own juice. You can find out more about their products here. Herbs and Spices With Healing Properties? 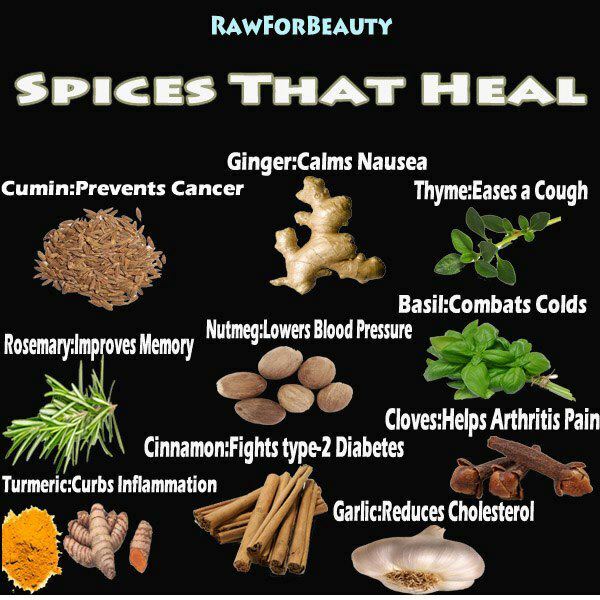 It shows a number of different herbs and spices with their supposed healing properties. I’m not sure how helpful they are, but I do believe that eating more natural foods and using more natural herbs and spices is probably good for you..
Cloves, for example, are a natural painkiller. You might have been given “oil of cloves” by your dentist at some point..
Garlic – I’ve no idea about what it does with cholesterol, but it’s meant to be good for you for a number of reasons. When I was growing up in West Clare my grandmother used to make yoghurt. She didn’t make it all the time, but I have fond recollections of plain natural yoghurt with jam. My grandfather had a farm and even after he sold it we used to get fresh unpasteurised milk from a local farmer, so we had no shortage of fresh milk. My grandmother had some kind of electrical yoghurt maker, though I’ve absolutely no idea what make or model it was. 30 years later yoghurt is part of my daily diet – I usually have at least one a day. So I’m now seriously considering making my own. The problem is that in 2012 there are a lot of different yoghurt makers on the market and they not only vary in make, model and price, but also in their basic functionality. First off there are two basic types of machine available. Choosing between those two types of machine is pretty easy for me. I’m not going to be making yoghurt to feed an army, so I’d get a machine that does individual pots. But even when you’ve made that basic decision you’re still faced with a pretty wide choice of devices. Some models have timers, some don’t. Some have an automatic shutdown, others claim to make the yoghurt faster than others etc., etc. It’s really confusing! I’ve been checking out the features on a lot of the models available and I’m probably more confused now than I was when I started! There’s a lot of pretty good guides available online to help you check how good (or bad) various types of food are. Unfortunately a lot of them are quite boringly presented ie. lots of tables of data and not much in the way of visuals. This site, however, is pretty simple to use and incredibly visual. It’s not as comprehensive as a lot of the bigger sites and guides, but you can immediately see things like Pringles being much worse for you than Walkers.